Liberty Mutual Holding Company, Inc. was formed in 2001, although the Liberty Mutual organization was founded at the turn of the twentieth century. The ultimate parent employs about 45,000 in all locations. About 2,500 people work at the headquarters in Boston. Now that you are thinking about health insurance, why not take a minute to request free health insurance quotes? Compare completely free health insurance quotes to your current health insurance rates to determine how much money you can save! Start by simply typing in your zip code now! The company uses an independent regional insurance network to market and distribute their health insurance products and services. Avomark focuses primarily on the needs of individuals and businesses, and writes personal and commercial health insurance lines, property/homeowner insurance, umbrella liability, and workers’ comp products. Liberty Mutual does not plan to promote the Avomark health insurance brand. Liberty Mutual wants to brand its acquired insurance businesses under the Liberty Mutual moniker. Ultimate parent, Liberty Mutual offers property & casualty insurance products such as health insurance in more than 1,200 locations. 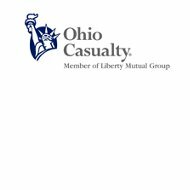 Avomark, and immediate parent The Ohio Casualty Company, benefit from Liberty Mutual’s extensive portfolio of products and financial services. Write Avomark Health Insurance Company at 9450 Seward Road in Fairfield, OH 45014-5412. Telephone the company at +1-513-867-3000. Avomark Health Insurance Company does not have a website, and information about the company is found in ultimate parent company Liberty Mutual’s online archives. In addition, Liberty Mutual writes workers’ comp and group disability insurance for commercial clientele. The company mixes proprietary brokers and agents with an independent insurance agent and broker network. Liberty Mutual also sells some insurance lines directly to consumers through direct response mailings and the Internet. Liberty Mutual ranks seventy-first in Fortune Magazine’s most recent “Fortune 500” and is one of the most prominent property & casualty insurance companies in North America. Avomark Insurance Company is part of Liberty Mutual’s Personal Markets subsidiary. The company offers health insurance as well as homeowner, valuables, and personal umbrella liability insurance lines. The Personal Markets subsidiary remains the largest new business generator of the company. In addition, Avomark Insurance markets its products and services to credit unions, alumni associations, professional organizations, and employer networks. Liberty Mutual hopes to sell its Liberty Mutual Agency Corporation (LMAC) in a public offering. LMAC includes the company’s network of about 12,000 independent agencies and brokers. The unit distributes personal property & casualty lines such as health insurance through its Safeco brand. Parent Liberty Mutual Holdings will maintain 80% ownership of LMAC. According to an Avomark Insurance Company financial statement in the Liberty Mutual archives, Avomark had about $11 million in net assets for the 2008 fiscal year. Ultimate parent Liberty Mutual reported sales of about $33.19 billion at the close of fiscal year 2010 or one-year sales growth of about 6.75% (2010 vs. 2009). The company’s net income was about $1.68 billion in 2010, a 64.03% year-to-year expansion of net income. Total assets of the company at year-end 2010 were about $112.35 billion. Dun & Bradstreet considers Liberty Mutual a low-risk vendor. LMAC reported 2009 sales of approximately $10.94 billion, and a one-year sales growth rate of 50.34%. The unit’s net income was about $1 billion dollars. The business has total assets of about $32.39 billion. Life moves fast for most people these days. You know you should compare health insurance rates by requesting new health insurance quotes from other insurers. Take advantage of our fast and no-cost health insurance quote request system now by typing in your zip code!